It was another losing season for the New York Mets, but one with a few more positives than there were in years past. So, I’m going boost everyone’s expectations, on a realistic level, for 2015. It’s safe to say at this point that the Mets won the Ike Davis trade. We haven’t even seen either of the players they got back play in major leagues yet. But the trade’s edge is clear and Lucas Duda is the reason. Thirty home runs, good for third in the NL, 92 RBI, more than enough to lead the team, and Duda did all that while hitting a respectable .253 on the season. Davis couldn’t even settle into a full time role for the needy Pittsburgh Pirates. By far the most consistent player on the roster for the last three seasons, Murphy continued to prove how valuable he is. He upped his power numbers from last season while still hitting an impressive .293 this season. While it remains to be seen if he is still on the roster come opening day, if he is, he just about guarantees production from the #2 hole in the lineup. Jacob deGrom, Jeurys Familia, Jenrry Mejia and Travis d’Arnaud are the four names that stick out to me as having truly arrived this season. deGrom and Familia may well have been the team’s two rookies of the year, with deGrom having a real chance for the big award as well. Familia proved to be a lockdown reliever late in the game working mainly in the eighth inning, but also picking up a save spot every now and then. Mejia showed that he’s capable of being put into clutch positions and succeeding in them. He converted 28 saves in his first chance at being a closer. 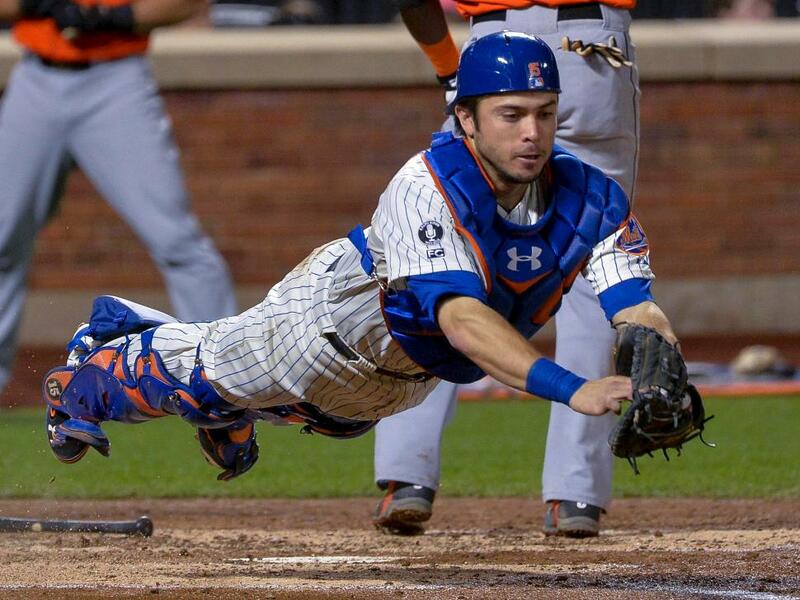 d’Arnaud was a slow starter but really got it together after his demotion. He ended the year with 13 home runs, third on the team, and got his batting average up to .243 before the season ended. It’s also possible to include on this list, Wilmer Flores. He showed that he is capable of playing the position of a competent shortstop and certainly will provide more than Ruben Tejada would. The only question is whether he can hit for average and get on base more. I think Flores has the inside track to be at least a backup middle infielder, if not the starting shortstop, if the team doesn’t sign a free agent. Additionally, Dilson Herrera was fairly impressive in his handful of games while Murphy was sidelined. This was an area that the Mets have not been able to figure out in recent years. At the beginning of this season it was Jose Valverde, Kyle Farnsworth and Bobby Parnell who were supposed to fill the late inning roles. Parnell was out since opening day for Tommy John surgery and Valverde and Farnsworth both found themselves released soon enough. As a result, Mejia, Familia and Vic Black locked down the late inning roles, with Carlos Torres as everyman, Josh Edgin and Dana Eveland handling the lefties with Daisuke Matsuzaka, Buddy Carlyle and Gonzalez Germen filling roles as they popped up as a result of injury, demotion or release. It was a less than impressive season for the Amazin’s but the future is bright and if the ball bounces the right way, 2015 could be the year. With Matt Harvey’s return, and some potential trade chips, many people believe that this team can compete with the Nationals for the division.